The book reworks components of the familiar single-family home to promote new levels of connectivity in neighborhoods once resistant to sharing. The traditional individual porch is rescaled to serve multiple units as a hyper-porch; garage galleries hydridize car parking to become mixed-use neighborhood work and maker spaces; and patio mats offer live-work venues within a compact footprint. All three strategies revitalize neighborhoods through return of informal economies and social networks. More than half of America’s waterbodies are unsafe for swimming, fishing, and as sources of drinking due to city building and farming. Beyond water quality problems, dysfunctional streams cause flooding and erosion of property leading to neighborhood blight. Not only can this be reversed, but repair of degraded urban streams can be a powerful agent for reinventing the physical environments of post-industrial cities. This requires transdisciplinary collaboration between the fields of ecological engineering and urban design. The American city was uniquely premised on fusions of landscape and urbanism―a tradition with plenty of room for innovation. However, watershed plans remain data and policy driven documents with a singular interest in repairing waterbodies. They have little to say about the city and urban design. Conversely, urban planning has not codified the value of healthy ecosystems within which cities are built. In this age of the Anthropocene, when ecosystems are human-dominated, resilient urban design must account for biological processes. The Framework Plan introduces watershed management into urban design with one simple demand: that every new development contribute to watershed stewardship, where infrastructure and building deliver ecological services in addition to urban services. The Framework Plan formulates a planning vocabulary for use among professionals and decision makers to engage this new design market. 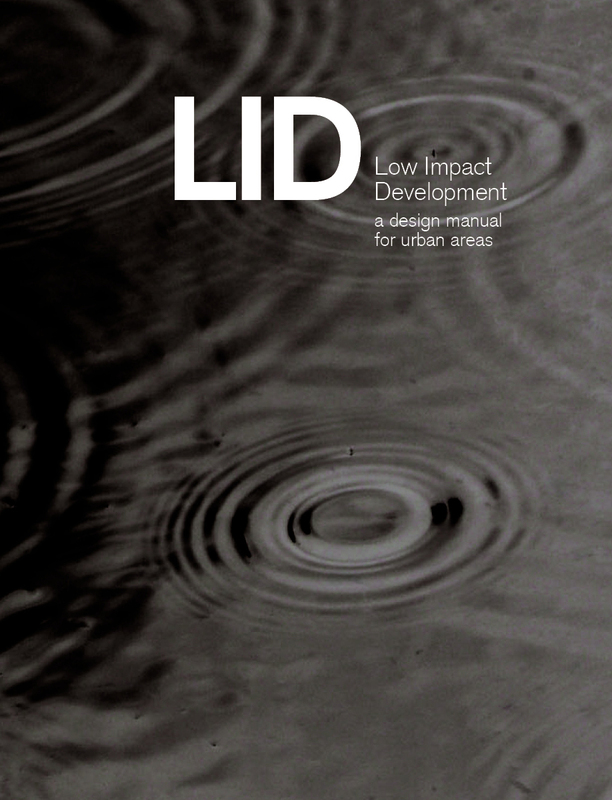 The manual's unique contribution lies in its advancement of Low Impact Development (LID) from a set of isolated engineering technologies to general place-making applications in neighborhoods, municipalities, and regions. This LID manual is the first of its kind nationally to address comprehensive LID planning at all scales and uses by those involved in urban development, from homeowners, to institutions, developers, designers, cities, and regional authorities. Unlike other LID manuals based on either technical engineering or environmental policy, this manual triangulates principles, technology, and design for the inexperienced homeowner, designer, project developer, municipality, and regional development and conservation interests. It is also the first to devise a LID Facilities Menu of the 21 technologies available, organized from mechanical to biological functioning.